Palawan needs no introduction. Tourists fly to the Philippines to see its top-notching paradise islands. However, there is not much online articles available for budget travelers backpacking Palawan. Most resources are targeting weekend tourists who are prepared to spend for food and accommodations. 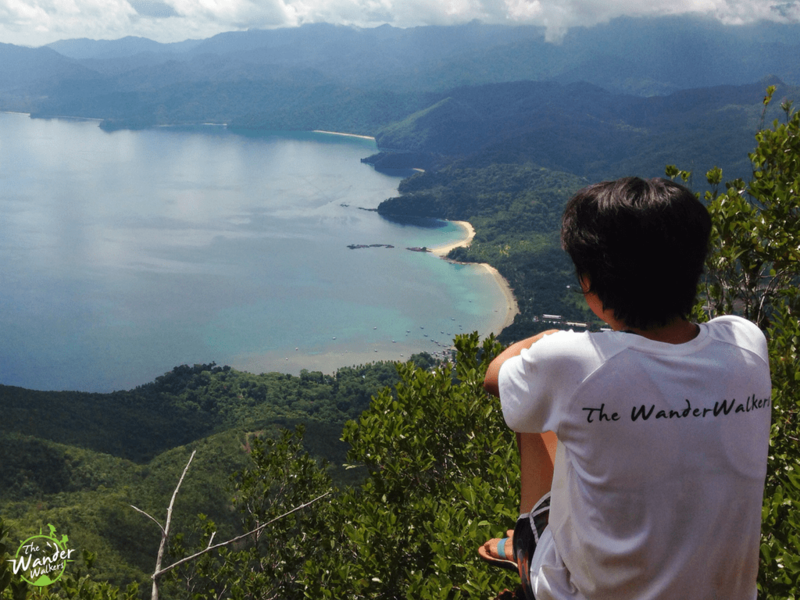 In this post, however, I will share a suggested 2-week Palawan itinerary, budget, activities, and contact details based on my personal experiences; I hope that they will be helpful to those planning to explore Palawan. Note, however, that my travel period was during off-peak season, June 16-30, 2017, when the weather wasn’t always sunny, the prices were not spiking, and hostels were not fully-booked. I am also not picky with food, I can eat canned meat, or food sold at the streets. There were some meals though where I didn’t have the choice but to spend at least $5. So everybody who’s been there raves about its beauty, but few reveal its trickery. Palawan has sadly become a touristy place. Unfortunately, the more volume of travelers that come, the higher the price of goods and activities become, although another factor affecting the prices is its geography. Being a Filipino who has traveled to other places for a lot cheaper, I kinda rant about having to pay a lot to see my own country. Westerners wouldn’t probably share my opinion because Philippines is still one of the cheapest countries that offer more breathtaking spots. But I deem it’s more expensive compared to other Southeast Asian countries like Vietnam, Cambodia, Thailand and Indonesia. However, Palawan’s tempting clear blue and green waters, white sand beaches, tropical islands and English-speaking friendly locals make it definitely worth every peso. 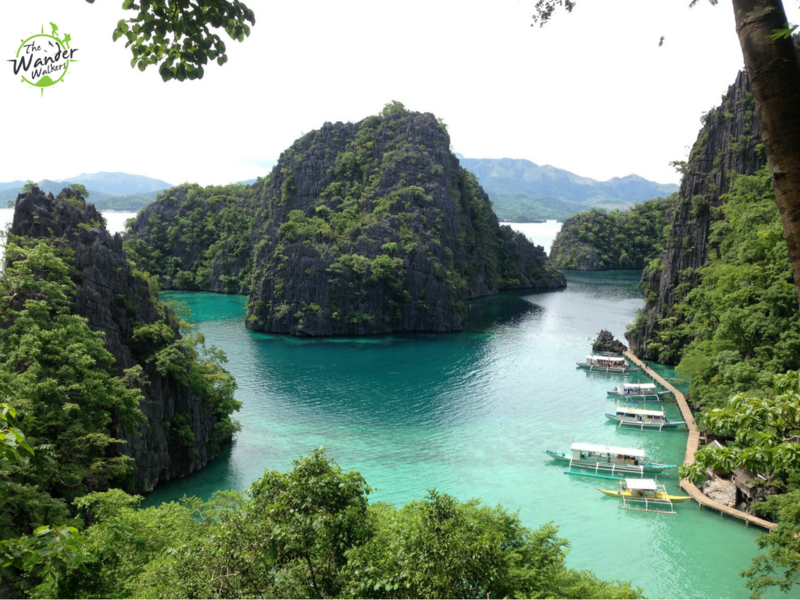 Besides, this Palawan itinerary and budget guide will help you to minimize that bank damage. Here is the list of all cheap but good hostels and resort that I recommend. I highly suggest you check out the availability and book in advance to make sure you have a reservation, instead of just walking in, hoping for an available bed. If your plan is to explore the entire island, the best route is to get to Puerto Prinsesa and exit from Coron. Here are your options on how to enter and exit Palawan. Getting to PPS from Manila by plane could cost at least $25 if you manage to find cheap local flights from Air Asia or Cebu Pacific. The key is to book at least a month earlier. It is also recommended that you book a morning flight so you can catch a Van and be at Sabang around 3pm. Going back to Manila, however, I would suggest you take the boat which I did during my trip. It would save you travel time and money instead of going back from Coron to El Nido ($24 by boat for 7 hours or $35 by fast boat for 4.5 hrs) to Puerto Princesa ($10 by van) to take a plane back to Manila. $0.25 Jeepney (San Jose route) from Airport to Van terminal. Ask the driver to drop you off Lexxus van. You can also opt the tricycles offering you $2. $7 Van PPS to Port Barton. Reserve your seat through Recaro company 09985694871. They have almost hourly departures as early as 9am. $8 Van Port Barton to El Nido. 8am and 1pm departures. Reserve your seat through Recaro company 09985694871. $20 Boat (16 hours) Coron to Manila via Atienza Shipping Lines. You can purchase the ticket outside the port gate when you arrive from El Nido. During non peak season, they don’t get fully booked so you can just walk in to get a ticket on the same day of your departure. Ship leaves at 2:30 pm every Thursday and Sunday. You can call to verify the schedules though 09399126840. Commonly, you will see people doing tours of the Underground River (Sabang) and Honda Bay Island Hopping as part of their Palawan itinerary. For me though, I decided to stay in Sabang only and skip Honda bay because boat tours in El Nido and Coron will be more beautiful. I would assume that most backpackers like me don’t like to book the tour packages provided by agencies. You will find a lot of packages online that would take you to Sabang for a day of visit to the Underground River, but there’s more to see there actually. 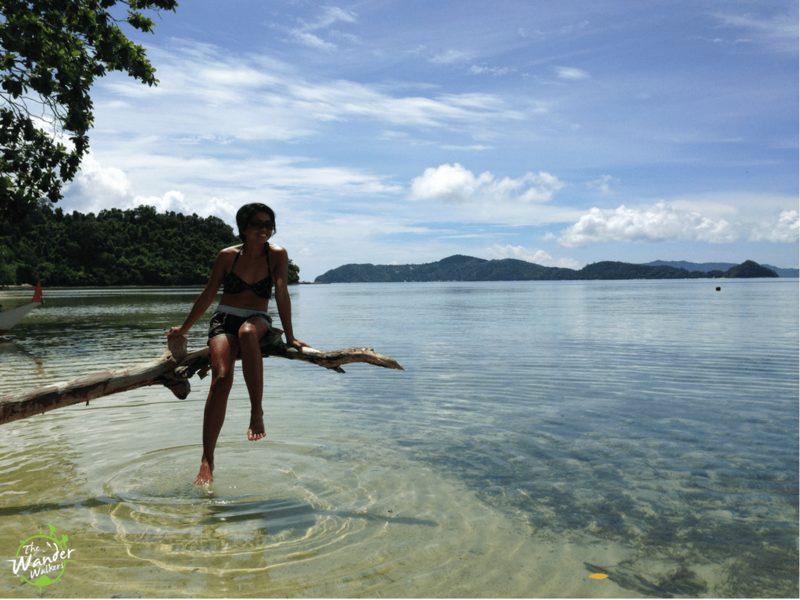 So here’s how you can DIY your Sabang visit. 1. Upon arrival at Sabang, check in to Cafe Sabang, the cheapest homestay you will find in the town, owned by a sweet old lady named Mary. You can book a bed for $3/night and a room for 2 for $10/night. 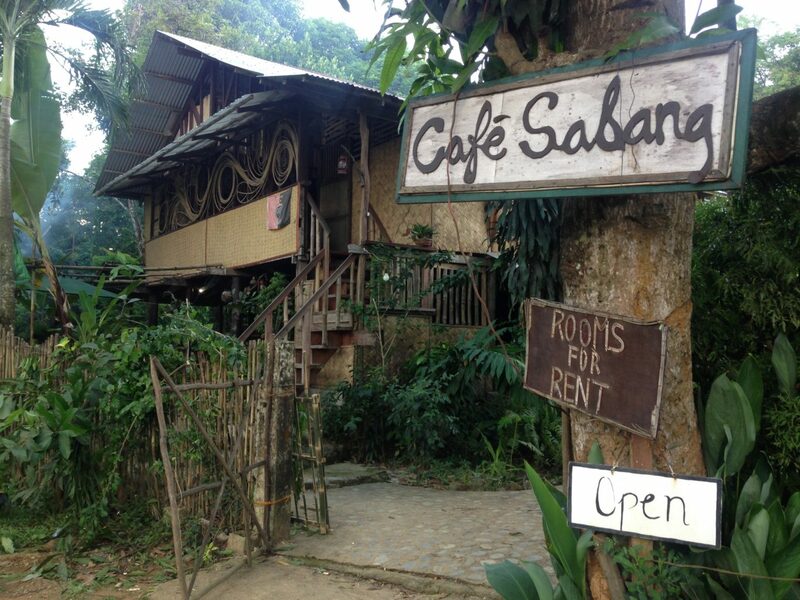 Check out my review of Cafe Sabang at the latter part of my day 1 blog. 2. Head off to the docking port where you can pay all necessary fees and permits to visit Puerto Prinsesa Underground River. The office closes at around 2pm; if you missed it you can just go the next morning. But remember that you have to secure your permits at least one day prior to your intended date of visit. $4 – Boat fee if you want to take the boat, or jungle trail fee if you want to take the more exciting non-touristy route. 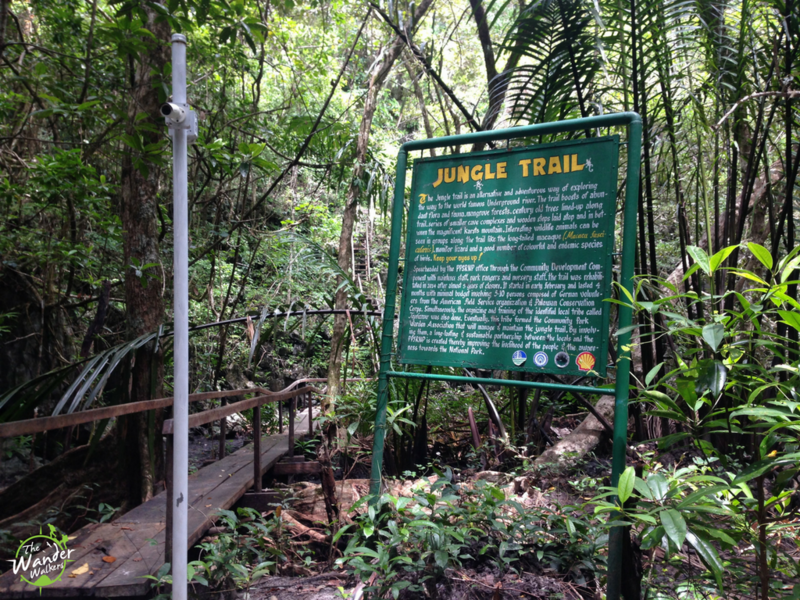 The fee for jungle trail includes a guide already. PS: You cannot escape these fees. Believe me, I tried! LOL. 3. 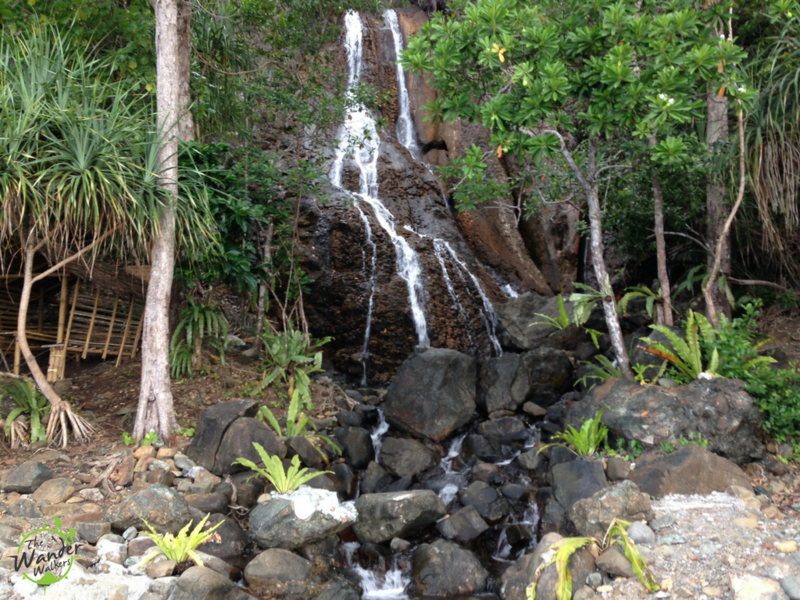 Leave the docking port and take a 30-minute walk west to Sabang Waterfalls. This tall falls that face the ocean is worth to spend the afternoon. I went there probably too late at around 3:30pm that no one was there to ask me for entrance fee, or mayber there’s really no entrance fee to visit it. 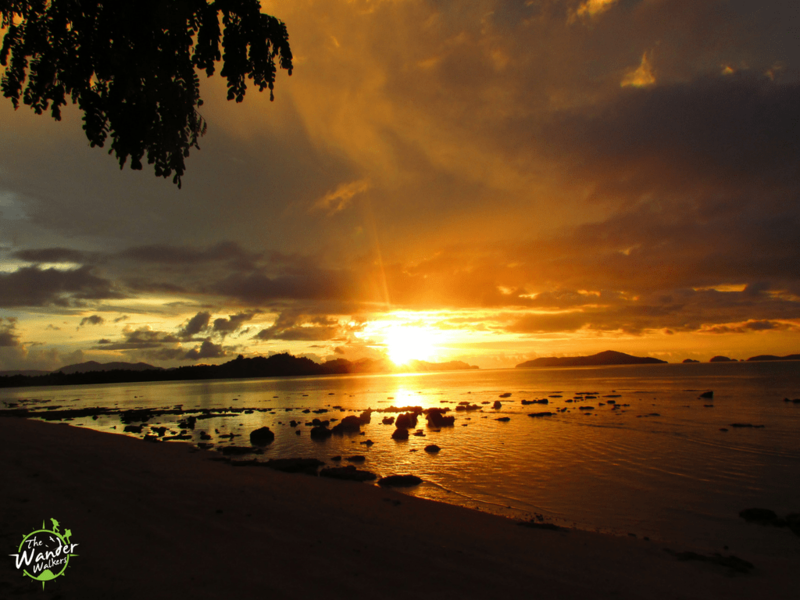 You can then beach bum in Sabang beach and wait for sunset. 4. 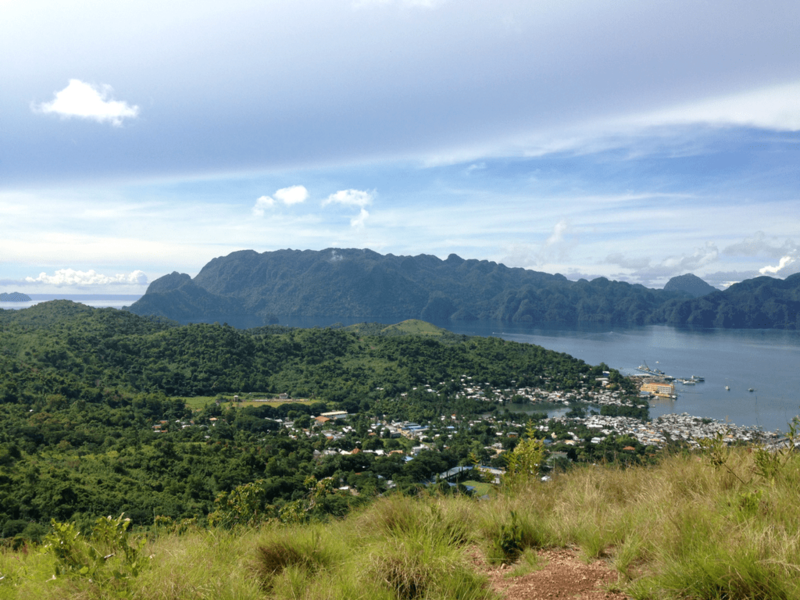 Ask Nanay Mary to refer a local guide for you to hike Mt Bloomfield the next day. 1. Hike Mt Bloomfield with a guide. As of this writing, it’s not open to the public yet because the trail has no markers and there are forks that are confusing if you are not accompanied by someone who is familiar with the route. But some locals can guide you to it for a fee of $10. It’s a 5-hour hike back and forth, given 30 minutes of rest at the summit and some pauses at the trail. You will also find a waterfalls during rainy season. 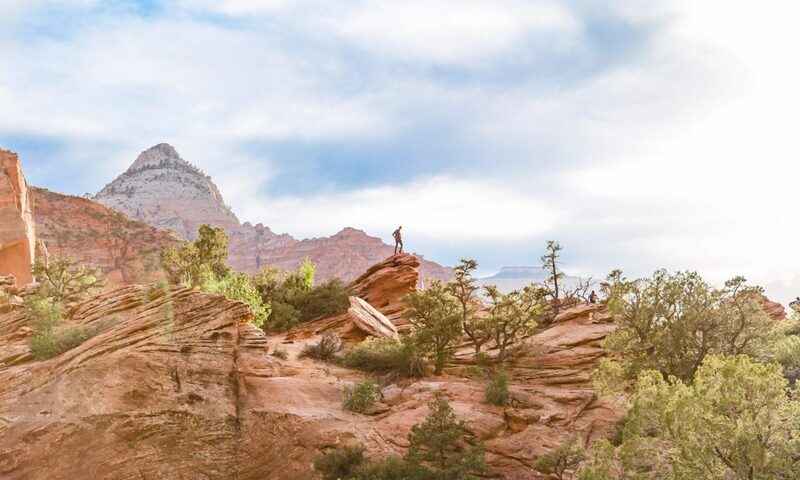 At first I was insistent to hike it solo, but then when I saw how confusing the trail could get at the beginning, I was relieved that I hired a guide. 2. 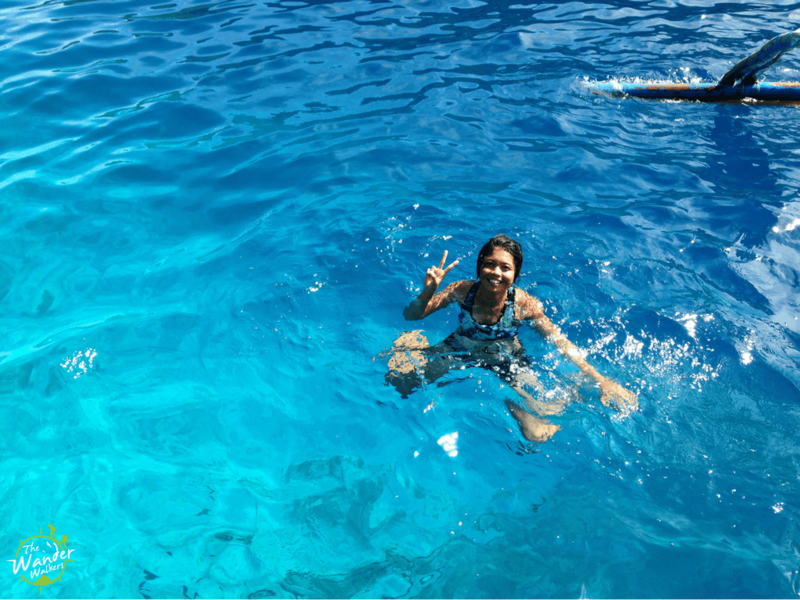 Chill and relax in Cafe Sabang or swim or beach bum in Sabang Beach for the afternoon. 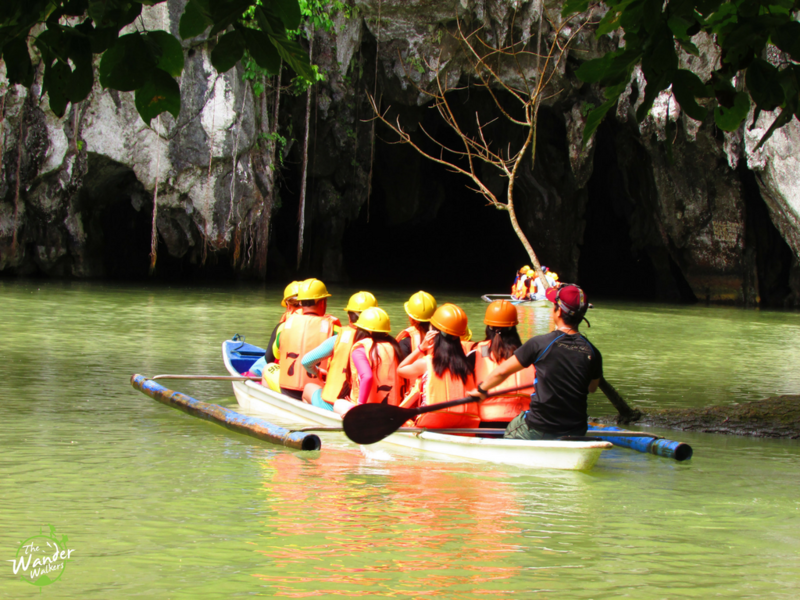 At 8am, walk to the docking station to present your permits for the Underground River. 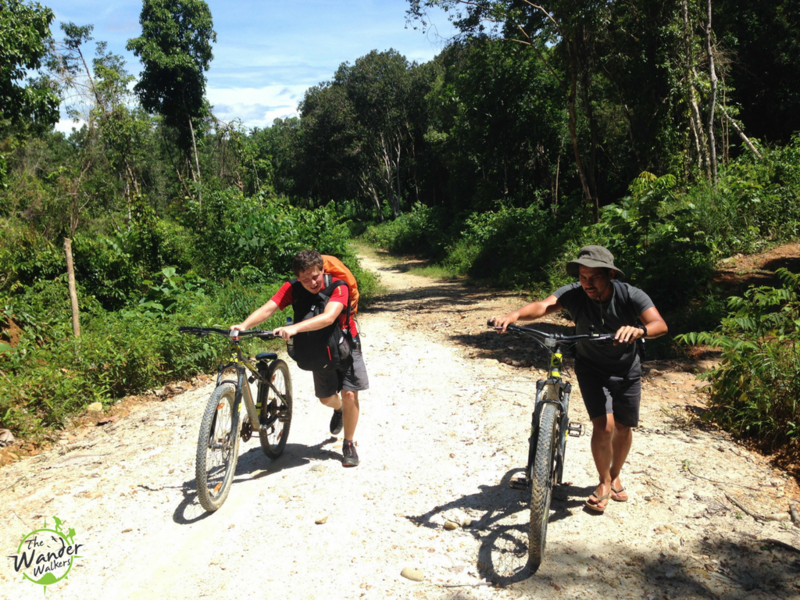 They will then assign a guide with you to accompany you to do the Jungle Trail. Honestly, the trail is so established and even enhanced walkways; it’s too easy. However, it’s a policy to have a guide which you already have paid for $4 anyway as part of the fees listed above. After an hour and so of hiking, you will reach the docking beach where you will ride a boat to tour the Puerto Princesa Underground River. Trip only takes 45 minutes. Stay overnight in Puerto Princesa. I hammock camped in Hartman beach but you can book a tent or bed for at least $5 in Bamboo Airport Hostel. The next morning, catch the van you booked via Recaro company to Port Barton. The entire town of Sabang is deprived of electricity. Its citizens depend on solar energy and generators. Despite all the buzz that El Nido and Coron make, Port Barton is my favorite among my entire trip in Palawan. My stay there was a mix of a peaceful paradise and adventurous escape! Although the town itself is slowly starting to get attention, in Sunset Colors Beach Resort where I and my friend stayed was secluded far from all the world! This is the only place where I was willing to spend much among my entire Palawan itinerary for accommodation because it was worth all the experience and activities. I spent $60 for 3 nights which included free use of kayaks, paddle boards which you can use to go far in the calm deep blue sea, and mountain bikes to chase waterfalls inland. We also had an amazing boat tour to islands, snorkeling and chasing sea turtles 🙂 I found amazing reviews about this resort and I couldn’t agree more with other guests’ experiences! If you left PPS at 9am, you will arrive at PB by 12noon, just in time for the 12:30 boat pick up to Sunset Colors resort. Spend the rest of the afternoon taking in the beauty, either by the shore or to the sea. Kayak and paddle all you want! Even watch the beautiful sunset colors! Book a boat tour for the next day for $16 including lunch. Take an early breakfast and be on your way for a 9am-3pm boat tour which will take you to 5 spots, 2 of which are snorkeling sites to see corals, 2 are islands, and one spot for sea turtle watching. I was able to catch 2 sea turtles! I also loved the peaceful German islands with a lot of trees to climb and, hammocks and swings. Ask the staff for directions for your waterfall-chasing the next day. 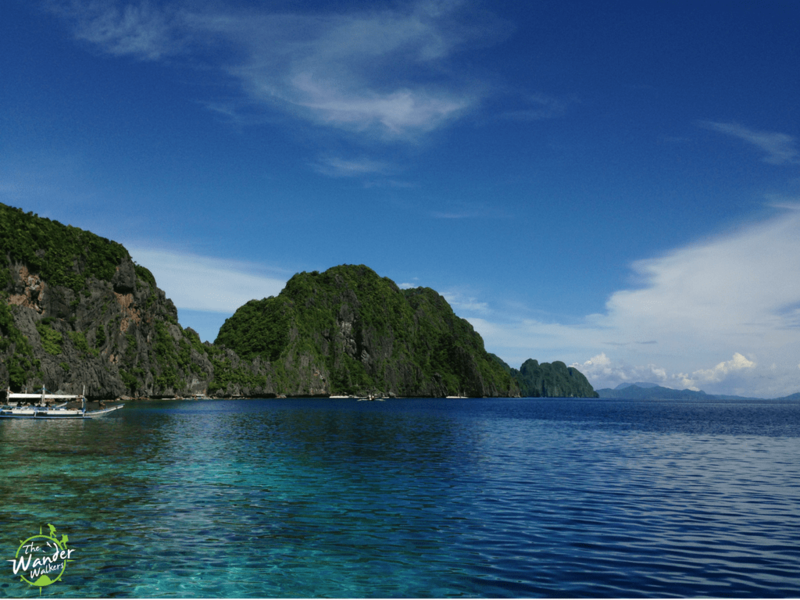 Book a van going to El Nido for when you check out using Recaro contact number for $8/head. Check out before 12noon and ride the free boat transfer of Sunset Colors to Port Barton town where you will ride a 4-hour trip to El Nido. Make sure you find lunch in town. The van will also have a stop over where you can find food to eat. No electricity in Port Barton but resorts have generators to provide some hours of electricity. The sea breeze was cool at night so it didn’t bother me much during my sleep. During day, I didn’t need electricity anyway because I was out on adventures. You can also book a cheaper accommodation in Port Barton Town itself but I doubt you will get the similar adventure in a peaceful paradise experience that I had. Since food menu in Sunset Colors is expensive at $4-7/meal, you can buy from PP some food supplies like canned meat, bread, spread, coffee/chocolate drink sachets, and snacks if you want to save on food. Bring cash. No ATMs and banks here. 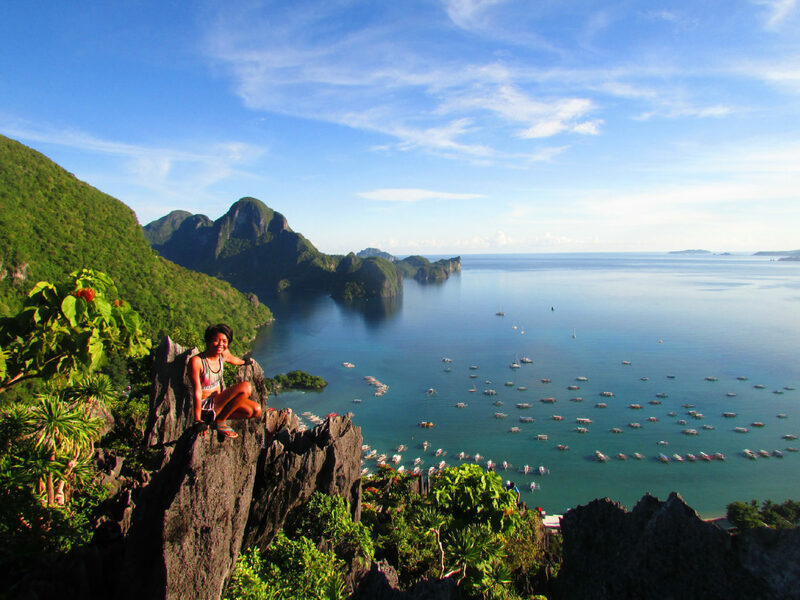 Unlike your chillax time in Port Barton, your stay in El Nido could get busy with boat and land activities. 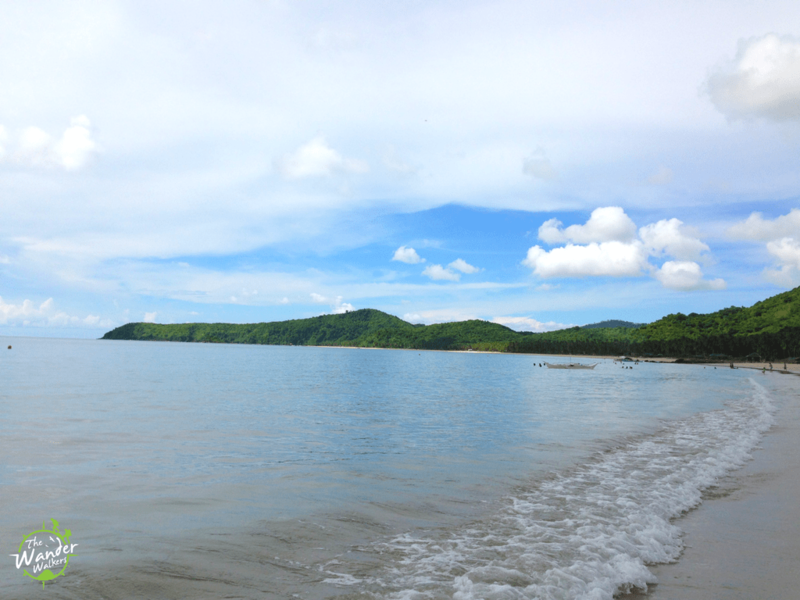 Choose from the alphabet tours (A, B, C and D), go to the twin beach of Nacpan, hike to Nagkalit-kalit falls and scramble up the limestone hill of Taraw Cliff. In El Nido, I was joined by Robb, an extremely adventurous solo British backpacker whom I met in Port Barton, and my friends from Indonesia who also happened to be there on a common day! Upon arrival at El Nido, you can take a 20-minute walk, or a $1 tricycle ride to Hakuna Matata Hostel, which is the cheapest dorm I found there, for a bed in a fan dorm for $5/night. There is a lack of dorms for backpackers here. I also stayed 2 nights in Amos Hostel in Korong Korong (nearer to the drop off terminal) for a bed in an airconditioned room for $8/night. Book a tour. 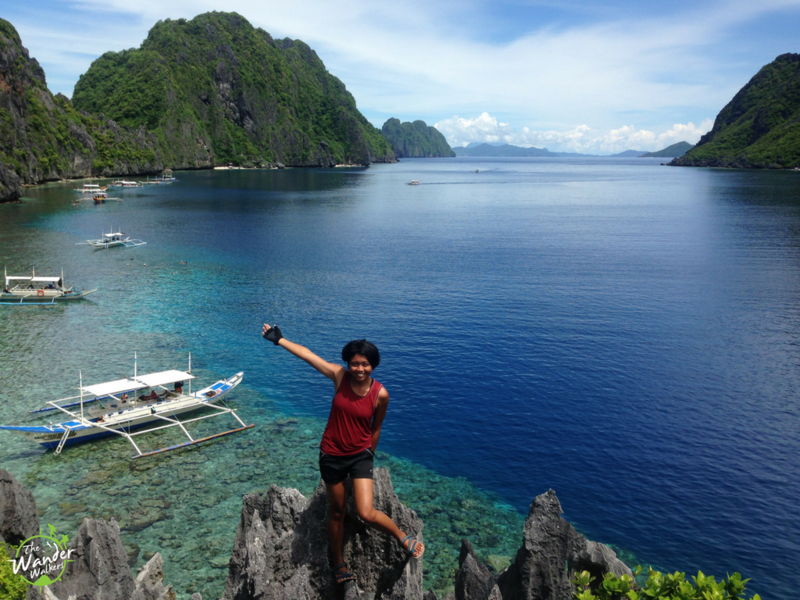 There are a lot of tour providers in El Nido but the cheapest that we stumbled upon is provided by Kashieca’s. Contact April at 09300287760. She gave us Tour A for $16 (originally $24) and Tour C for $20 (originally 2800), not including the one-time environmental tax of $4. 1. I will not spend time differentiating the different tours. I did Tour C simply because my friends who have been here deemed it to be the best one, which I would have to agree; it’s indeed spectacular! Especially the part where I saw a school of fish, with probably thousands of fishes gathered around in a lump in Matinloc shrine. There is also viewpoint here where one can climb up limestone rocks and have photos taken with the beautiful ocean as the background. This is also where I had good lunch with everyone else in the group. Prepare $2 though for entrance fee. 2. 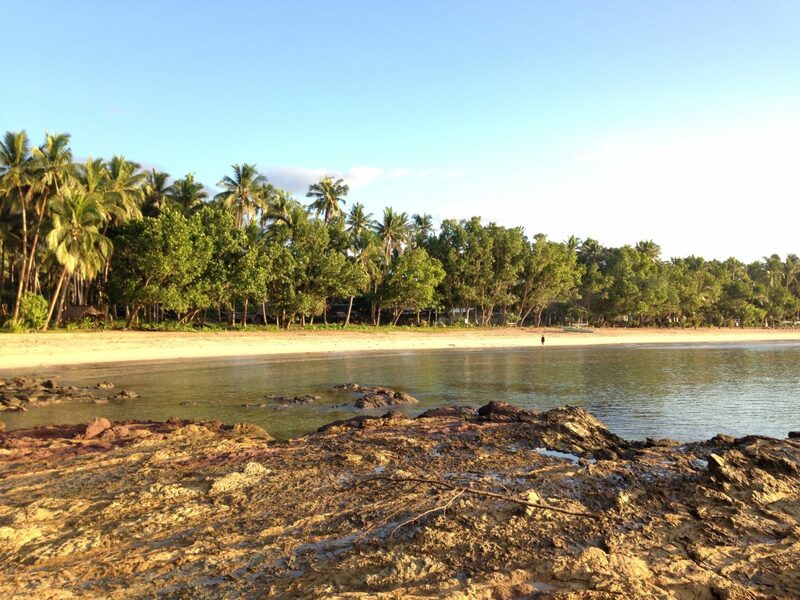 Go to the fisherman’s village of Korong Korong beach to observe local kids playing along the seashore as the sun sets. 1. Scramble up the sharp limestone of Taraw Cliff for an adrenaline rush. April’s husband, Bryan, a licensed tour guide can guide you to the summit safely. Originally, I and Robb intended to DIY this climb, but due to the lack of written guides online, and the confusing streets that lead to the jumpoff, we failed to find the start of the route. It was also hard to find a guide! They were either charging too high at $10 per head, or not willing to lead us because of the consistent rains at that time. Luckily, we found Bryan who swore that it’s really not safe to hike if it rained the previous day. So we had a deal that if it wont rain the previous day, then he would take us up. He also agreed to bring me and Robb for $5 each! What a deal! Indeed during day 8, it did not rain and Bryan took us up. Start the hike at 5:30am since it gets tooooo hot when the sun is up. Bring gloves as you would be scrambling with sharp rock edges. Bring water and camera as well! You will finish this just before 9am as Bryan also guides Tour A which starts at 9am. 2. After post-climb refreshments, rent a motorbike ($8 off peak, $10 peak) for an inland tour to break the monotony of boat tours, although definitely you have the option to switch itineraries. Gas up for $2 which will be enough to take you to and back. You have another option to hire a tricycle for the day and the driver will take you to your desired destination for $20, more expensive than renting the bike. 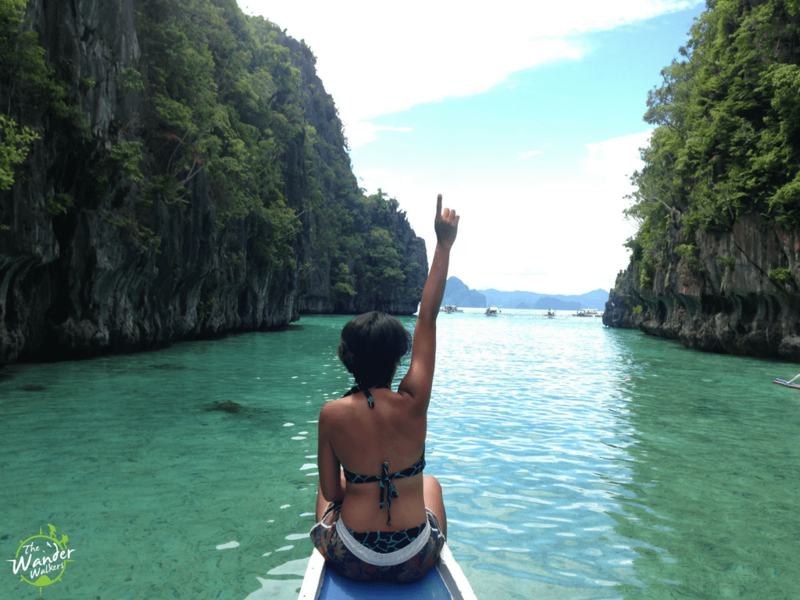 For your last day in El Nido, take the most favorite tour which takes you the signature islands in El Nido such as the Big, Small and Hidden lagoons. My personal favorite though was the high swing in 7 Commandos beach! Don’t miss to dare it! Once back in the town, book your ticket to the fast or slow boat that goes to Coron. Ask your hostel or tour provider for tickets. Get your breakfast from Midtown bakery nestled in the main street of Rizal. You can get local choco or coffee sachets from there as well. Hot water is free at Hakuna Matata Hostel. You can also get bananas or other fruits from local stores. Snorkeling gears are provided for free by tour providers but aqua shoes are rented for $2/day at the docking port. If you have an outdoor sandals, better to wear it than a flip flop during tours so you won’t have to rent aqua shoes. There are parts where you would have to walk above sharp stones both above and below seawater. A few ATM is available in town. Even after your great adventures in Port Barton and El Nido, Coron will not disappoint as it lifts up the bar for snorkeling and diving. Be warned though that it’s a little more expensive than El Nido. There is also a scarcity of hostels for backpackers. You can find tiny rooms good for 2 for $12, which is okay if you are couple, but not for solo backpackers who just met along the road. LOL. Gladly though I found Aldrich of Red Carabao Coron through Couchsurfing who offered us his Coron Airbnb apartment at a discounted rate. He usually offers it at $20/night though. We had a bad weather in Coron which only allowed us to do one boat trip. However, the itinerary I’m sharing is based on my first visit in Coron 2 years ago. 1. 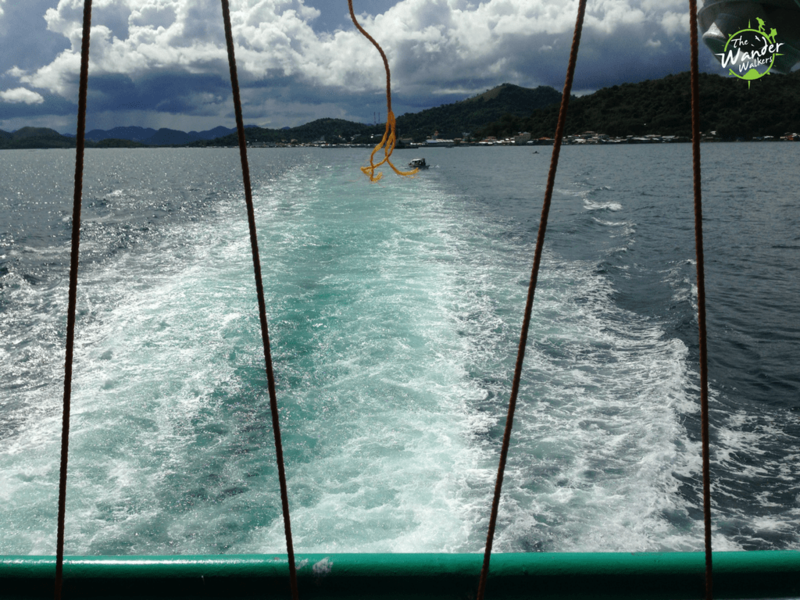 Ride the 8am boat from El Nido to Coron, which arrives at the port at around 2:30-4pm, depending on the wave condition. In the Atienza Shipping lines office outside the port, book a ticket back to Manila if you have already decided what date to exit Coron. Take the tricycle to the town. It’s best to stay in town where there are more food options. 2. Book your tours for the next day. 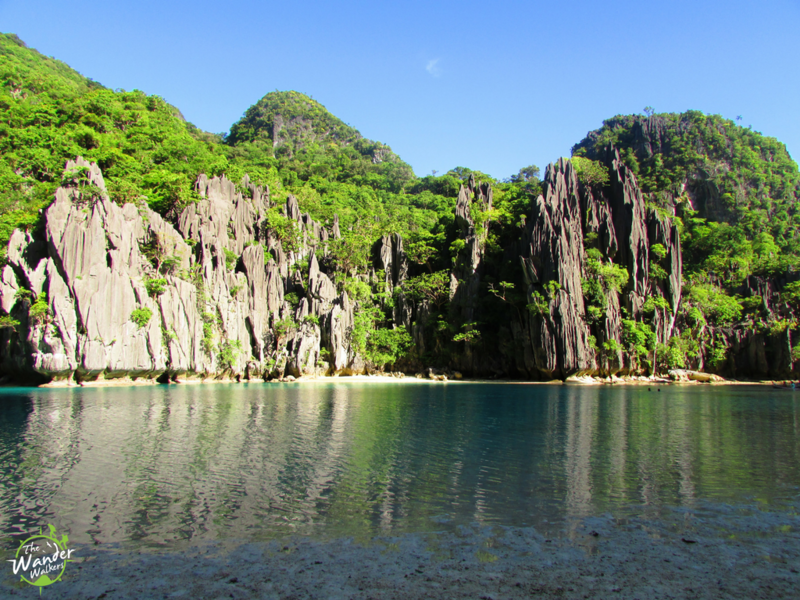 The Ultimate / Highlights Tour is recommended as it takes you to the must-see spots of Coron. 4. For around $6 of tricycle ride you can go to Maquinit Springs at an entrance fee of $4. You will be picked up from your hotel at around 8-8:30am and the tour starts at around 9am. 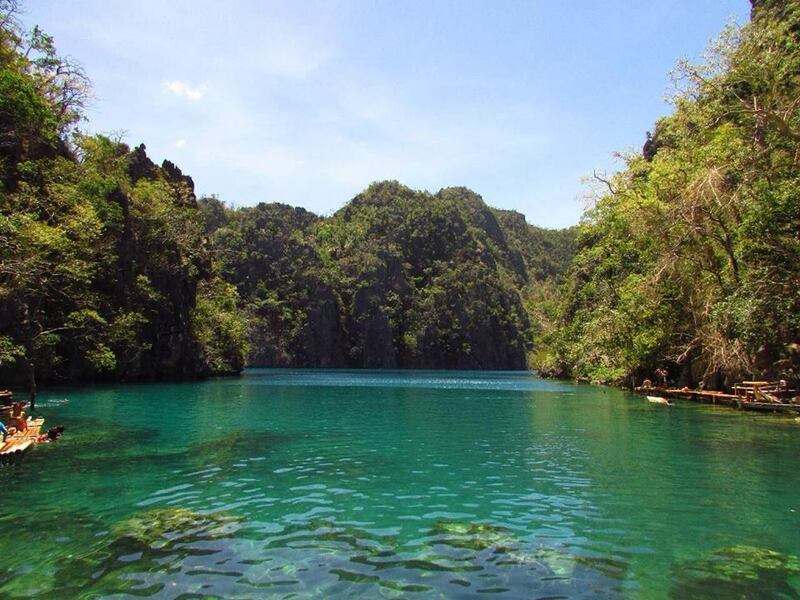 My favorite part of this tour is the Twin lagoon, Kayangan lake and shipwreck! Ride a tricycle for $0.5 per person to get to the port after 1pm to board the ship which leaves at 2:30pm. I suggest that when you buy the ticket, ask for the top corner bunk at the backmost part of the ship so you can see the horizon and islands fading away as you lay on your bed. 🙂 It’s also an amazing experience to see sunset and sunrise! You will dock in Manila Port at around 6:30 am. Unlike in El Nido where snorkeling gears are provided, in Coron you have to rent it for $3/day. If you have your own, better to bring it, which is also the more hygienic option. 🙂 Also, right in front of Red Carabao is a local eatery where you can get a decent rice meal for less than $1. Coron has better internet connection via 3G, and some restaurants offer wifi for free. A few ATMs are available in town. Food can be expensive here. I suggest you try the grilled meat you can find along the main road near No Name Bar, where you can have a stick of barbeque for $0.2, or a big chunk of grilled pork or chicken for $1.5. You can also find bakeries and local eateries tucked along the secondary streets of the town. Get a local sim card from the airport. You will need it to book transports, contact homestays and access internet via 3G. Don’t rely on WiFis; they are either too slow or non-existent! Never fail to apply sunscreen! The sun can be unforgiving. Better to bring cash, budget it, with a little buffer. It’s always a hassle finding an ATM, especially if it doesn’t dispense cash! Buy a liter of water and don’t throw the bottle! You can refill it from water purifying stations for $0.1 to $0.2 instead of buying another bottle for $0.6. Can’t get tired of Palawan’s Islands! I’m not putting the detailed breakdown but to give you a ballpark of how much you can spend the least, here’s a summary of my actual expenses, with food varying from canned meat, to budget meals to $7-meals. That was a looong post! Thanks for reading up to here! When I was planning for the trip, I wanted to veer away from the local tourist options, that’s why I dragged a sleeping bag and hammock along with me all the way! I was only able to use them once though, because of the occasional rains in the afternoon. I realized its better to be dry and warm in a bed bunk than save a few bucks and get sick 😛 I may have missed a lot of information but comment any question that you cannot find in google and I’m willing to answer based on my experience! 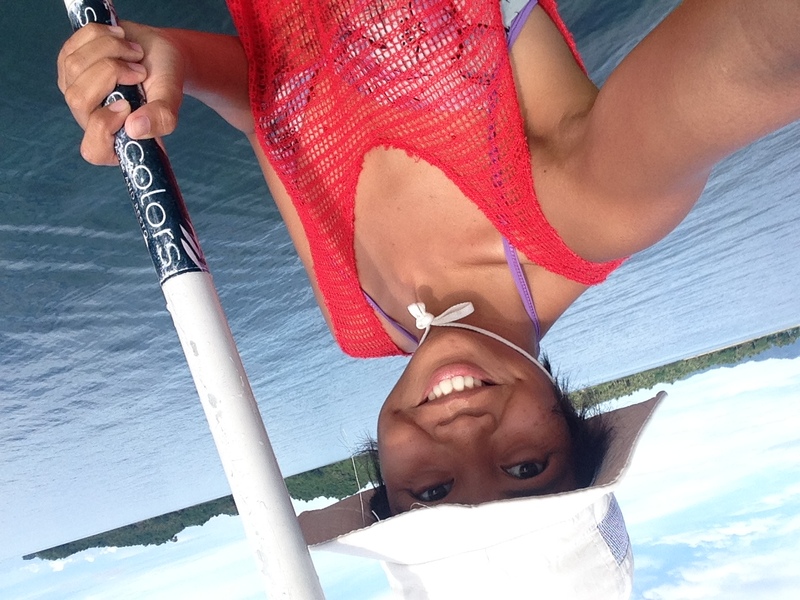 Happy backpacking in Palawan! This is soooo helpful! I’ll be heading there soon but I’ll only have 10days, where do you reckon I should skip? Nah hard to say, love all of them. super helpful!!! ill do 80% of your blog!!! im spending 5 weeks just in palawan so expect my msgs every now and then!! 🙂 AWESOME BLOG! !